Fundraiser by Rachel Renee Austin Ridge : Help BSA Troop 5 replace all items stolen . Help BSA Troop 5 replace all items stolen . picking up the litter boxes after the parade was over, someone was busy stealing our original troop camping trailer. It was taken from its location at Eastwood Baptist Church, and contained our restaurant grills that we use during the Medford Cruise for our main fund raising. Also included was some propane tanks, a 35 gallon water container and camping equipment. The incident has been reported to the police and the case number is 19-6764. We are needing to replace our trailer and other items . We use these things for our biggest fundraising events the pancake breakfasts and concession stand At the annual Medford cruise and the 4th of July pancake breakfast in Eagle point at the Grange. 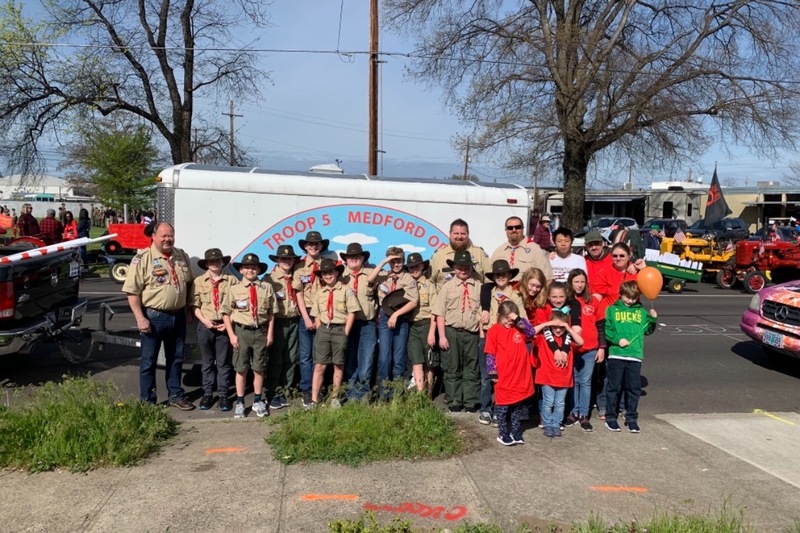 Troop 5 thanks the community for their help! !